Introducing our Eat Right, Feel Light's sub selection that contains 6 grams of FAT or less*! Enjoy these delicious and healthy subs with Honey Mustard, Mustard OR Sweet Onion sauce and vegetables of your choice! 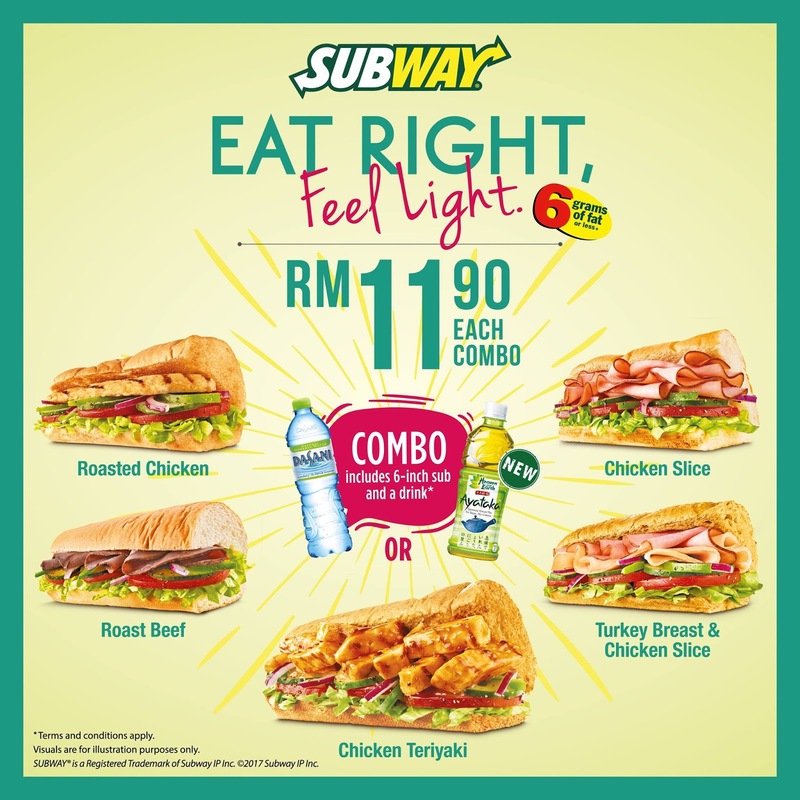 Eat right and feel light for only RM11.90 each combo set today. Limited time offer from 15th March till 25th April 2017. Valid at participating SUBWAY® restaurants in Malaysia only. Combo at RM11.90 each, includes a 6-inch sub and a bottled drink. Choice of bottled drink: Dasani Mineral Water OR Ayataka Japanese Green Tea. Valid for dine-in and takeaway purchases only. Visual are for illustration purposes only. SUBWAY® Malaysia reserves the right to amend the terms and conditions without prior notice. SUBWAY® sandwich fat content refers to regular 6-inch sub recipe without cheese or non-low-fat condiments such as mayonnaise on white or wheat bread.